Swept Away notwithstanding, Guy Ritchie’s directing career is filled with some of cinema’s most stylish films. His past three movies—RocknRolla, Sherlock Holmes and Sherlock Holmes: A Game of Shadows—all demonstrate a terrific blend of action and humor, and it looks like his next offering, The Man from U.N.C.L.E., is going to be more of the same. Usually we’d tire of the same thing over and over. But, based off the first trailer, Ritchie’s latest just looks too darn fun. Based on a show from the 60s, The Man from U.N.C.L.E. focuses on CIA agent Napoleon Solo (Henry Cavill) and KGB operative Illya Kuryakin (Armie Hammer), who reluctantly team up to take down a mysterious criminal organization. I say reluctant because the two are shown trying to kill each other in the early half of the trailer, only to be partnered together in the name of the greater good. It definitely has a 007 vibe. Not that we’re complaining. There’s always room for a good spy flick, and The Man From U.N.C.L.E. looks pretty great. 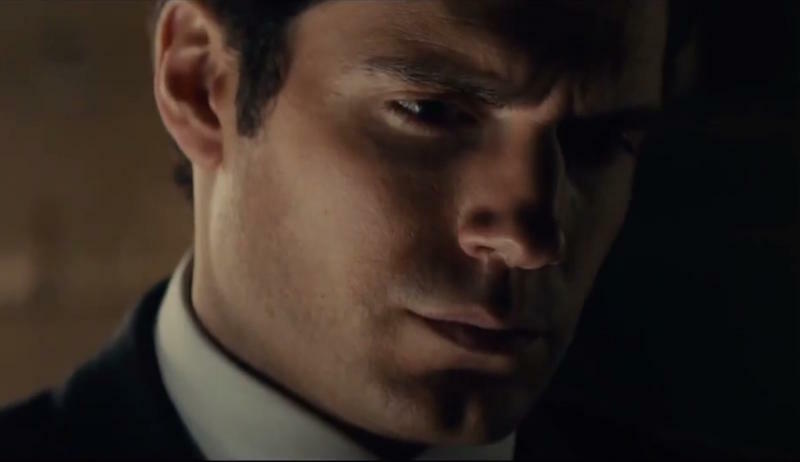 Cavill looks suave and sophisticated as Solo, while Hammer brings in a nice helping of intrigue and humor. Also appearing is Jared Harris, Hugh Grant and Alicia Vikander as Gaby Teller. Look for this one to hit on Aug. 14, 2015.